Home Water Filter Systems helps to filter the supply water from various contaminants and make it suitable for drinking, bathing, cooking and other essential household works. But whether the homeowner need one or not, depends on the quality of their local water supply. Local supply water, either tap or well water may be contaminated with various toxic microorganisms, metals, organics or chemicals such as E. Coli, Cryptosporidium cysts, lead, chlorine and chlorinated by products etc. Sometimes, the supply water quality may be good for the average population but not so good for the sensitive ones like elderly, pregnant women and children. In such cases using home water filter systems are definitely beneficial. The key of selecting a water filter system for home depends on its purpose and point of usage. As different filters have different contaminant’s removal capability, we need to know the contaminants in our supply water first. This can be done by getting information of local water quality data or get the water independently tested from a certified laboratory. Once the water quality information is known, then we have to decide which contaminants we like to reduce. Is it the taste, odor or the excessive amount of chlorine that bother us; or may be the water is unsafe due to high amount of heavy metal or other toxic chemicals like lead, arsenic etc. The next step is to finds out various filter systems that can reduce the target contaminants as not all filters are suitable to reduce all contaminants. NSF’s contaminant selection guide my help to select filter systems that are certified to reduce specific contaminants. There are several types of water filtration systems available in the market. Homeowners need to know about their technology, usage and functions to make a decision. Whole house filter systems are usually installed to the main water supply line entering the house, so that they can remove the target contaminants for the entire household usage. These systems may include treatments for harmful microorganisms, water softeners or treatment for chlorine, taste, odor and particulates. There are different varieties of under the sink filters available and should be chosen based on each household individual need. 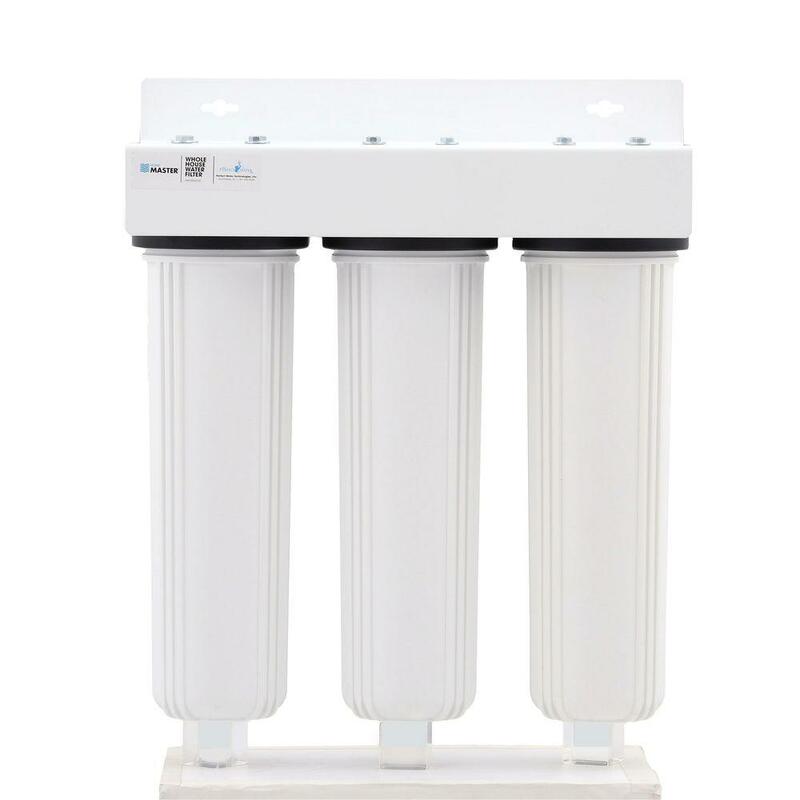 Under the sink filter system may have multiple filter cartridges designated to remove different sets of contaminants like sediments, bacteria, taste and odor etc. As there are space available under the sink and hidden from the sight, some households prefer them. This filter system is dedicated to serve a single faucet and is effective only when purifying water for drinking and cooking is the main target. These filters are connected directly at the tap. Faucet mounted filters can be simple or sophisticated based on the range of contaminants they can remove. But usually these filters are small and easy to install with limited filtration capability. A countertop pitcher or container is one with built in water filter. Dirty water passes through the filter by gravity to a separate compartment from where the clean water can be poured or drawn. A personal filter can be a water bottle with built in water filter. These types of bottle may have a cap and a straw and usually designated for individual use. Usually they are the simplest form of filter with limited capability and short life span. Water filter for shower are installed on shower head or in-line and help to remove chlorine and other toxic chemicals from water. There are various commercially available shower filters that use different filter technology to remove contaminants from water. While these filters may not be an essential for every household but they certainly have different health, beauty and aesthetic benefits to offer. To know more-click here.